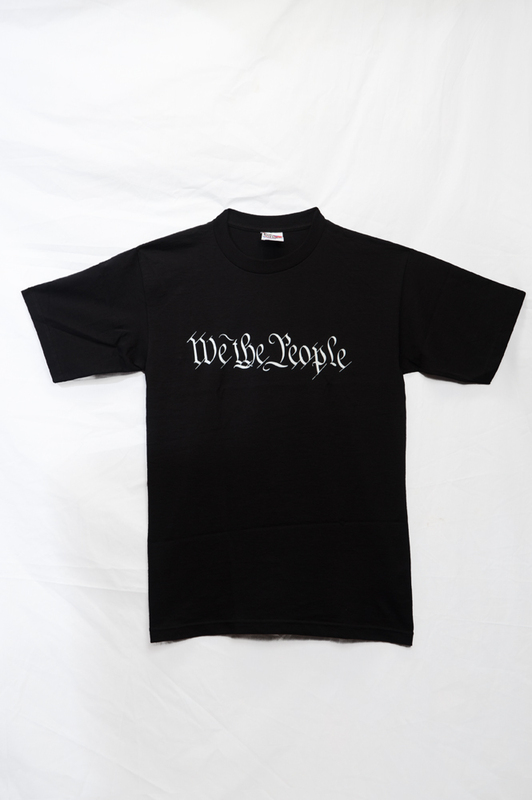 "We The People" is a well known phrase taken directly from the preamble of the United States Constitution. We believe the Constitution remains one of the most significant and relevant documents in the history of the world. As a result we wanted to create a T-Shirt that boldly shows our support and admiration for what the Framers created, and perhaps incite discussions on liberty. Printed by A great Christian company that's located out in Lexington, Kentucky (Hands On Originals). The good folks of Hands on Originals have been in the news for awhile in their struggle for religious freedom. We support them and the cause, which is why they print our new shirts. T-Shirt is good weight with thick printing that will likely stand up well through years of washings. I ordered a large shirt and was pleased that it was not just large through the width or length, but both. Very pleased with this T-shirt.